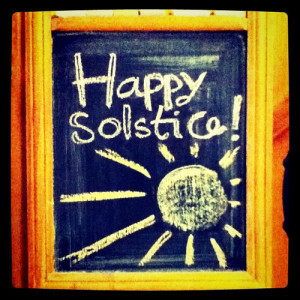 Today is the shortest day of daylight all year long. That alone makes it special. I will celebrate this day by abstaining from screen time (as soon as the work day is over) and from alcohol. I will also celebrate this day with a beautiful meal full of fresh vegetables and grains. I will celebrate this day with a session of extended meditation and reiki tonight in my meditation space. I will light candles and sage and will talk to God about the year behind us. But most importantly I will celebrate this day by accepting and loving my shadow self…in al her imperfect glory. The shadow self is the side of yourself that you only show when you are alone. It can be a concealed fear, desire, or source of shame that you are unwilling to put out into the light for others to see and judge. It is the side of you that wants to behave in the ways other than polite, professional, or appropriate. It is the side of you that lives under the surface and that you sometimes just fight like hell to keep at bay…and other times that you use to enjoy moments of uncharacteristic behavior. As I think of Hannah and her song, I wonder at her shadow self. The part of her that had to carry the hurt and baggage of the bullying she faced while barren and the part of her she had to keep in check when she wanted to brag about her new baby bump. I think we hear her shadow self slip in and out in this song. ‘Stop acting so proud and haughty! Today I will wrestle with my shadow self…and we will decide together what needs more light and what should stay hidden. But either way, by the time I close my eyes, I hope to have offered myself love and acceptance…all of myself.